I am kind of a facial oil snob. I know what works for my skin and what does not. When I first read about Saint Jane Luxury Beauty Serum, I knew I wanted to check it out. First let’s just appreciate the exquisite and chic packaging. I was swooning. They had me at hello. Then I received my bottle and this little miracle made me a devotees and a believer. Press pause on daily stressors and cultivate a luxurious lit-from-within glow. We’ve crafted our sacred elixir with clean, organic, 100% pure, natural ingredients to help visibly balance, brighten, soothe and improve skin’s inherent radiance. 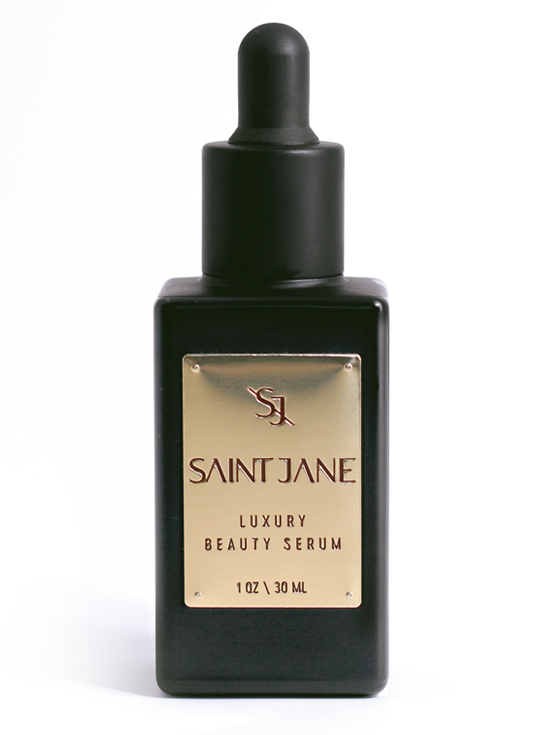 Skin blissfully absorbs the silky, omega-rich serum delivering wellness benefits as it deeply penetrates. It smells herbal and floral and all kinds of amazing. My skin was quite literally glowing. I ski and after a very long day in sub-zero temps, my face was beet red. I applied this miracle and my skin was nourished and cured. I actually look forward to this part of my skin care regime every single night. I want to bathe in this liquid gold. So yeah safe to say, I adore this. It sinks in like a dream. Never leaves my skin greasy., and the compliments are so worth any price tag! When a product gets a lot of hype, I feel like it's my duty to get in there and see if it is really worth it. Henne Organics has quickly become a mainstay in natural beauty. Laura Xiao, the creator, takes a minimalistic approach to lip care. 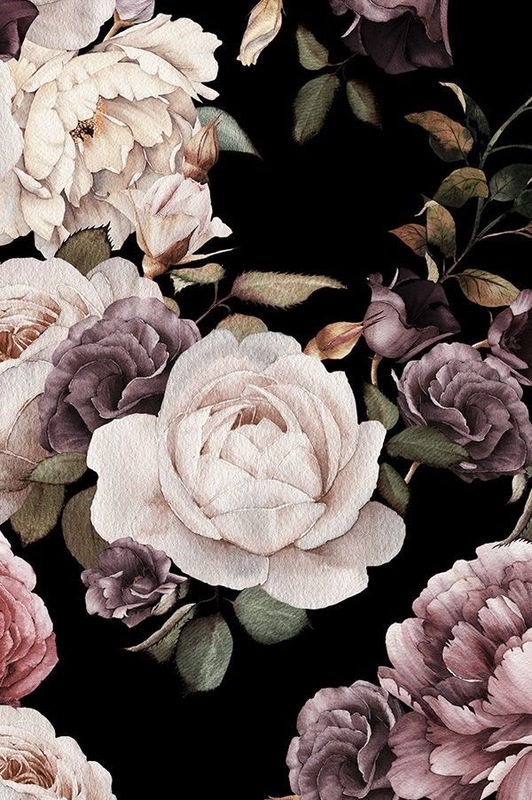 The brand screams luxury, and better yet, it works. I have a lip balm obsession. I have tried everything there is and I am super-picky, because I know what works and what does not. I was in Detox Market in NYC, and the wind was howling and my lips actually hurt from how dry they were. 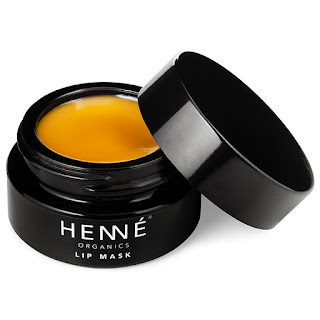 I asked about a good lip balm, and the sales associate said I had to try the Henne Organics Lip Mask. I was skeptical. I wanted a balm, not a mask. Her assurances that this was the stuff!, made me have to try it. The minute I put this on, I was hooked. I use this morning, noon and night. Because it is technically a lip mask, you can wipe it off, but my lips love it, so I leave it on. It has a slight citrus, herbal scent that is not overpowering. Your lips need this! Henne Organics Lip Mask is a necessity for the cold winter months, and the dry summer days. Why not grab one?! Unless you currently reside under in a cave or under a very big rock, you know that natural skincare is something that has taken over. It can be hard to find the brand or product that works best for skin like yours. 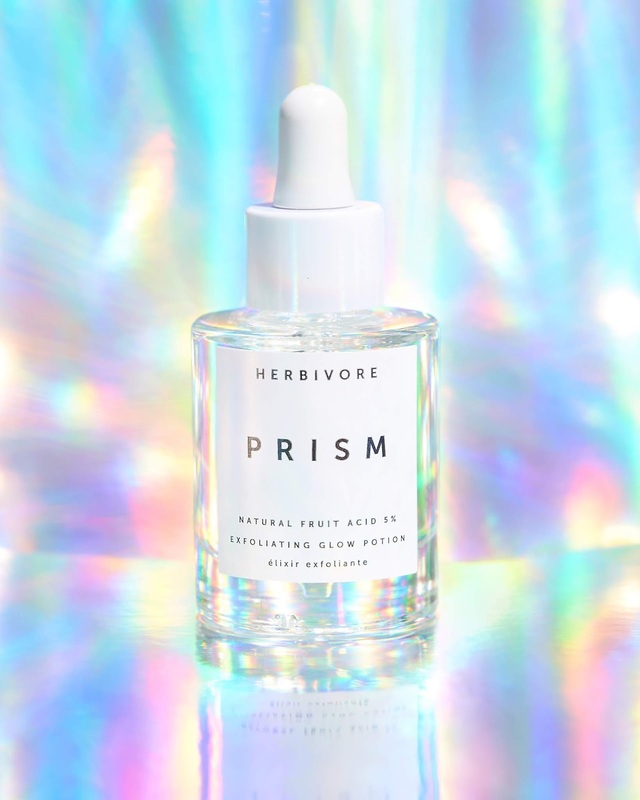 Herbivore Botanicals is a fantastic line created by Julia Wills and Alexander Kummerow. I kind of feel like a facial oil afficianado at this point. Humor me. I was once of the completely wrong mind-set that putting oils on my face would be a bad thing. That theory has been knocked on its backside. I actually have a little love affair with three of the oils by Herbivore Botanicals. I may refer to them as my holy trinity. 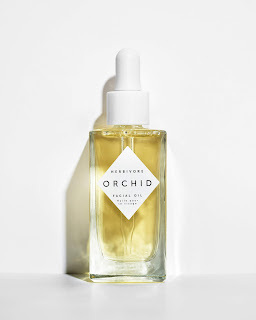 My fave facial oil for the past year has been Orchid. 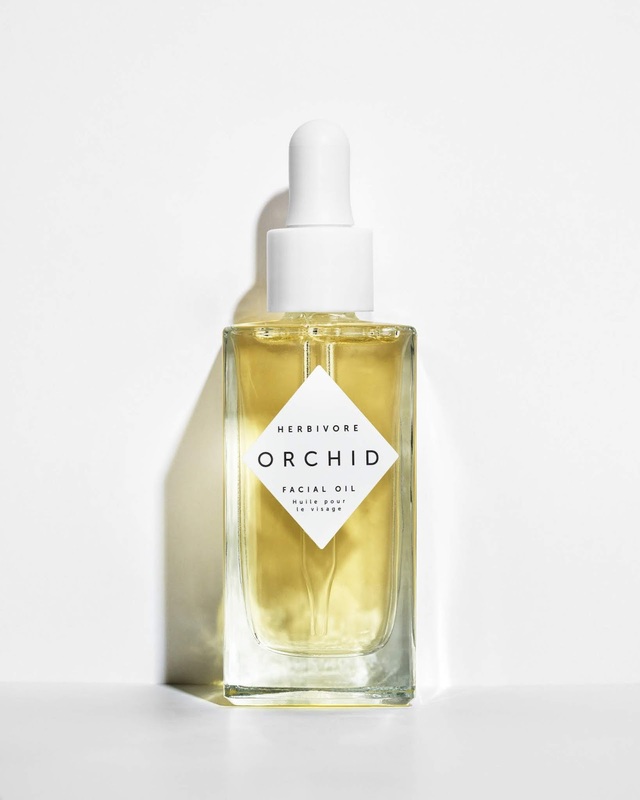 Orchid Facial Oil contains lush, exotic floral oils that provide skin with dewy hydration and glow. Formulated for all skin types in need of hydration and protection against visible signs of aging. It makes my skin unbelievably soft and supple. It smells so good that I want to rub it on my whole body. It never breaks me out and keeps me glowing. I use this every single night. The Prism Exfoliating Glow A super lightweight serum featuring a rainbow of natural fruit acids and botanicals extracts to exfoliate, hydrate, even appearance of skin tone, smooth + clarify. For your best skin yet, naturally. 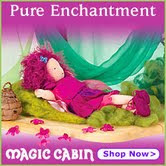 I use this princess under my Orchid oil to help smooth what I consider my problem areas to be (chin, and near nose). It has a silky texture and blends well. Emerald Deep Moisture Glow Oil is the newest treat and completes my trinity. 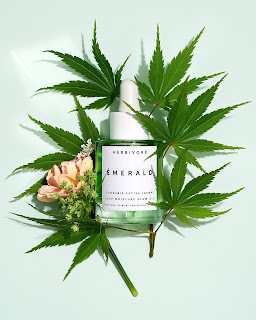 Deep moisture meets flash absorption in this skin calming and seriously hydrating blend of Omega-rich and irritation soothing Cannabis Sativa Seed (Hemp) Oil and environmental stress defending Adaptogens including Shiitake Mushroom and Ashwagandha Root. For me this oil packs a big punch, but feels so light. I use it mixed with Prism Exfoliating Glow or on its own. I definitely takes a little more for this one to sink in, but when it does, it works its magic. Irritated patches of skin seem to magically disappear. So these bad gals of beauty have become my spa at home. I work with little kids so when one of them tells me "You look young,' I know my oils are doing their job. I know many of my readers have wondered where I have been these past few months. I plan to get back into my blogging world again. I was going through some highly personal, life-changing things. I am in the middle of an amicable, yet no less stressful divorce. Funny how everything in life takes a back seat. Things are looking up and I finally am in a place where I can share my favorite products with you once again. From makeup to cookbooks, I have you covered. Hopefully you hung on and will bear with me. Love to all the readers. 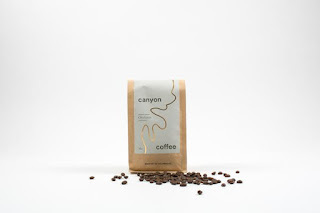 Canyon Coffee Wakes me Up! 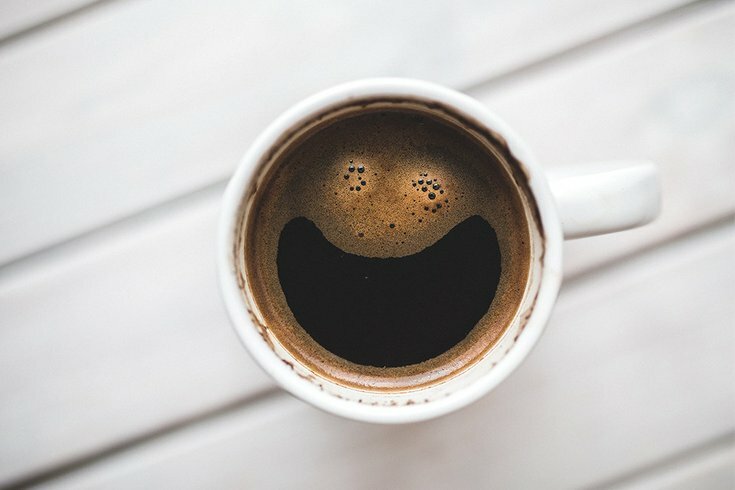 Nothing wakes you up like an amazing cup of coffee. I know there are doubters, but bear with me here, Caffeine-friendly, or a decaf kind of person, you will find your cuppa with Canyon Coffee. Started by who might be the most beautiful couple ever, this coffee company is dedicated to pleasing every palette. ABOUT: This is an organic Colombia decaf Excelso from the village of Apia in the Risaralda district of Armenia. The coffee was produced by the Asociacion de Cultivadores de Apia. ABOUT SWISS WATER PROCESS: The Swiss Water® Process uses pure green coffee extract and proprietary carbon technology to remove caffeine from green coffee beans. The beans are first soaked in very hot water and caffeine is leached out of the beans' cellular material to create green coffee extract. The solution is then passed through a carbon filter. They have specified the pore size of the carbon to match the caffeine molecule to ensure only the caffeine is trapped when the caffeine is captured from the green coffee extract. 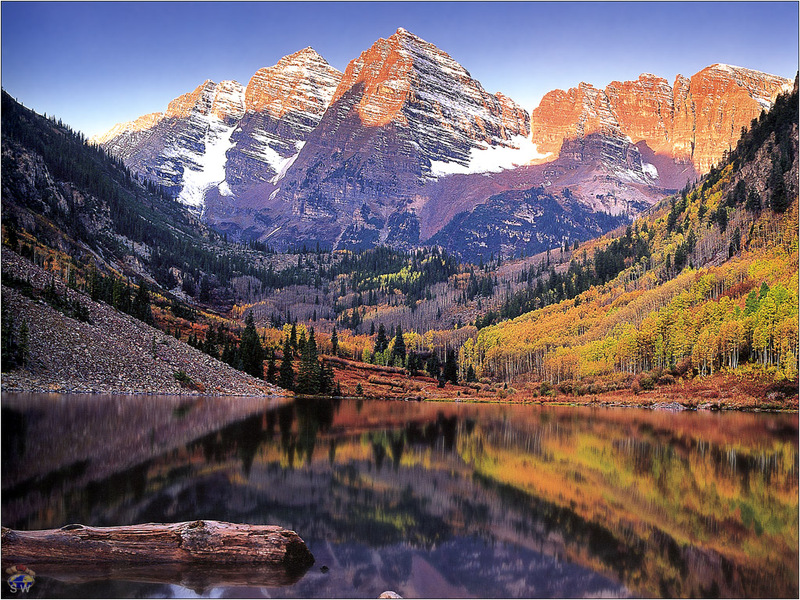 The Swiss Water Process is certified organic and 100% chemical free. In addition, they are also certified Kosher by the Kosher Overseers Association. 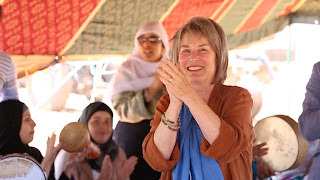 I did not think anything could be better and then I went to the Limu Cosa, Ethiopia. It has notes of peaches, caramel and molasses. 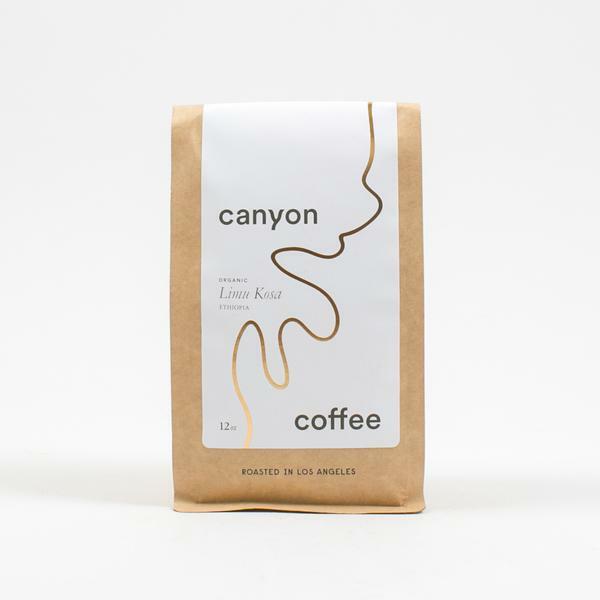 This coffee took the case in a series of blind cuppings, tasting seasonal beans from all over the world. 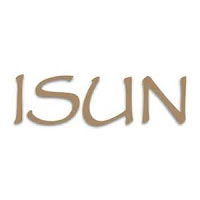 Limu Kosa comes from a family-owned farm that has been growing coffee for over 40 years. The beans were grown at an altitude between 1800-2200 meters. Process: washed. Certifications: organic. 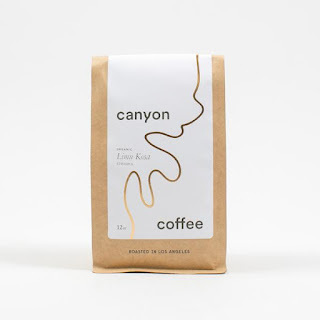 I am officially addicted to Canyon Coffee now. It tastes so much purer and refined than anything I have ever tried. 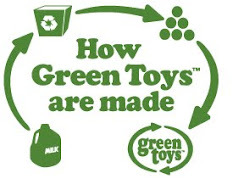 I love that it is a small company and that they are so involved with their suppliers. You really won't find a better cup. I have long been someone who believes in the healing and restorative properties of gemstones. I have no less than four shelves in my home dedicated to my collection. I wear gemstones, make crystal grids and cleanse them on a regular basis. When I first heard about VitaJuwel, I was more than a little intrigued. Here was a company adding my favorite things, gemstones, to purify and infuse water. The best part is, they do it safely. Some powerful crystals cannot be put directly into items we ingest, because they leak certain chemicals (ie. Malachite contains arsenic when exposed to water). Rediscover one of nature's most valuable secrets with unique VitaJuwel gemstone vials – An ancient way to energize water with the healing power of hand-picked gemstones. Patented worldwide, designed in Germany, manufactured in the EU using lead-free bohemian glass and fair-traded, conflict-free gemstones. Currently, VitaJuwel offers GemWater Bottles and GemVials that you can put directly into water to taste the magic. I say magic, because it really feels like it is. 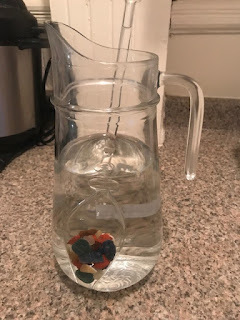 The water actually tastes different! 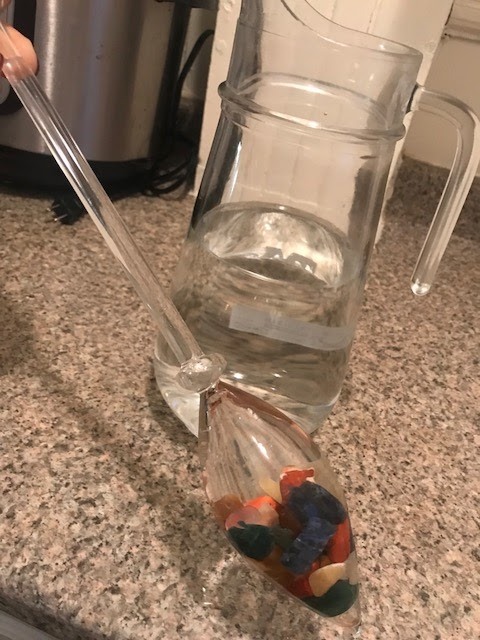 Plus you can use the GemVials in your wine! VitaJuwel offers decanters for just that purpose. I have a GemWater Bottle in Wellness. It has a pod in the bottom with amethyst, rose quartz and clear quartz. It is the recommended bottle if you are not sure which one to get. I am obsessed and use it daily. The water actually tastes cleaner and more pure. The gemstone blend found in my bottle is meant to keep you calm, and it works. The other product I own, and use daily is the Gem Vial in Focus. It has a combination of red jasper, sodalite, orsnge calcite, borwn agate and aventurine quartz. I find myself using the Gem Vial everyday. I actually crave the purity and taste of that water. I cannot recommend these products enough There is so much power and vitality to be harnessed from gemstones. I cant imagine my water without them. 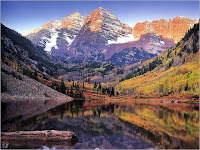 To create true, high performance products in harmony with nature and our bodies that do no harm. 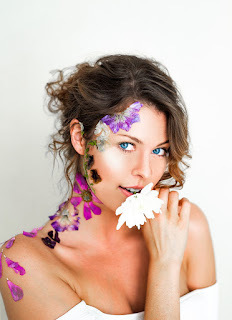 To produce the most advanced, highest integrity wildcrafted organic and natural skin care products teeming with life and energy, for the purpose of restoring, rejuvenating and giving pure vitality to one’s skin, senses, health and total well-being. Our hand-crafted, high performance, alchemical creations are made with pure wildcrafted and organic plant ingredients teeming with nutrients and inherent life-force energy kept alive with cold-processing and enhanced with energy techniques. 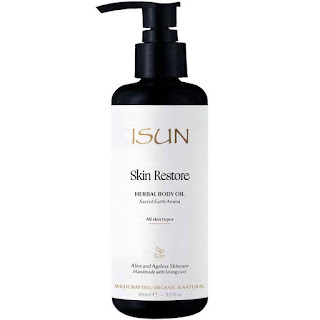 Isun Skin Restore Body Oil is literally heaven sent. This inviting, sensuous aromatic body moisturizer is made of 100% active ingredients to nourish and protect skin from environmental damage and to support repair of tissues. Phenol-rich protective herbs, calming and restorative herbs and flowers are infused into a vitamin & nutrient-rich oil base to replenish skin. It has a deep earthy aroma. I usually put this on directly out of the bath on moist skin. I breathe in the scent and let it relax me. Between the vetiver, patchouli, sandwalwood and ylang ylang, this is really an experience for both skin and senses. It makes my skin incredibly soft and moisturized (no small feat in this cold New England weather), and I even use it on my face and the ends of my hair. It wraps me in comfort. All Isun products are hand-crafted in Colorado in the company's own pristine facility. I love every product I have ever tried! Stay tuned for more reviews of this wonderful line. My skin has taken a hard blow this winter. I of the combination skin suddenly had peeling skin around my nose and cheeks. I was scrambling for what to do. I have never had skin this dry before. I turned to my good friends at Evan Healy. They sent over some amazing products that I credit with healing my skin within days. The Coconut Cream Cleanser might just be my new best friend. I was a little leery about using coconut oil on my face. I have done oil pulling and I use it all over my food, but my face? Well, it worked wonders! It made me a believer. Our certified organic, RAW, unrefined virgin coconut oil is naturally fragrant and brimming with living lipids and nutrients to deeply nourish skin and lashes. We’ve added the gently uplifting aromas of sweet orange and vetiver to calm and relax facial muscles. stocking up with a lot more. It literally melts in my hands and comes easily off with a washcloth. 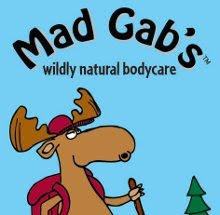 After cleansing, I am slathering my face in the most decadent product ever. The Whipped Shea Butter with Olive Leaf is like heaven in a jar. This is my new night cream. 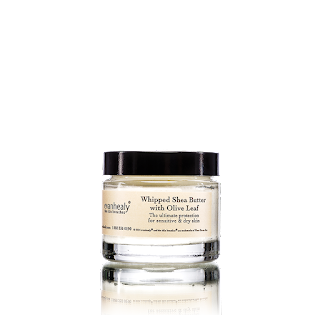 Whipped Shea Butter with Olive Leaf rejuvenates and protects extremely dry and dehydrated skin, having a remarkable effect on wrinkles, softening and smoothing fine lines, all signs of stress held in our face and eye area. After a few days of consistent use skin appears noticeably improved. 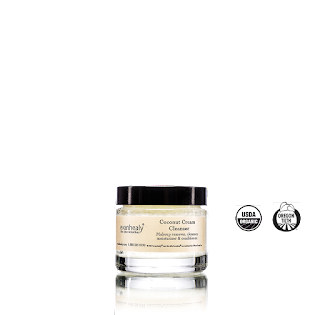 Our Whipped Shea Butter, rich in essential fatty acids, cinnamic acid, and vitamins C, E, and K, heals dry, sensitive skin conditions while providing maximum barrier protection without a heavy feeling or clogging tiny dermal pores. It is especially effective when treating red/angry skin conditions. I also noticed that for the first time my nails and hands are not peeling this winter. I know it it the work of this magic butter. 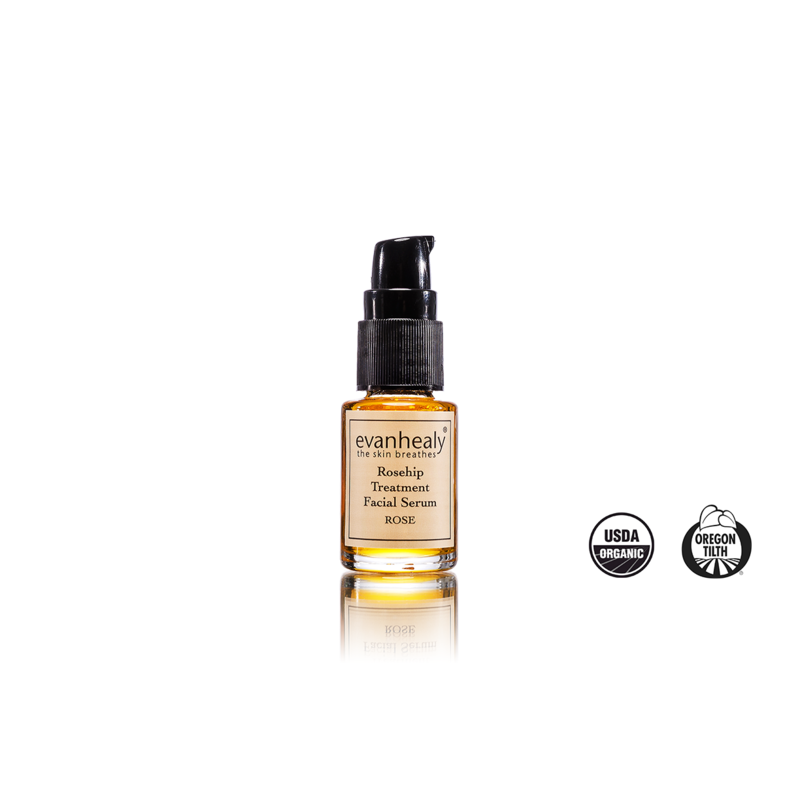 If I feel like I need some extra healing, I apply the Organic Rosehip Treatment Serum. I usually apply it before or, mixed with, The Whipped Shea Butter with Olive Leaf. 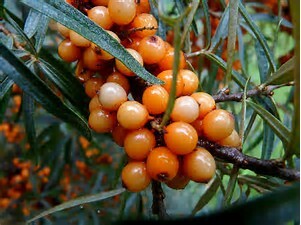 Our remarkable, certified organic rosehip seed oil comes from the Chilean Andes. Known as rosa rubiginosa or rosa mosqueta, this silky oil of the rose hip seed has been used for centuries to treat sun-damaged, scarred or burned skin. I am so thankful that my skin no longer looks as horrible as it did at the start of winter. I am even more thankful that I could cure my skin ails with the remarkably natural and wonderful Evan Healy. Teething babies put everything, and I mean EVERYTHING in their mouths. More than one item of mine met the trash bin when my daughter was teething. Chewbeads has the perfect solution. let's face it, we still want to look fashionable and if those delicious bits of jewelry we wear just happen to double as chew toy, well, we are killing it! Created by a mom! My daughter is long out of teething territory, but I still wear my Astor Teething necklace in fuchsia (and I get a ton of compliments). I am officially obsessed. As a side note, I work with lots of children with sensory disorders and have fond that these are perfect to keep them from biting themselves or other harmful objects. Who says we can't be moms and still look good?! No matter your hair type, you have no doubt been lectured that washing your hair daily is not only ill-advised, but harmful. Standard shampoos are harsh and can actually strip the hair of oils you need for healthy hair and scalp. Enter Hair Story. Hair Story has come up with an amazing product that is a one-stop to gorgeous hair called New Wash. New Wash is amazing and will change the way you wash your hair. No matter what type of hair you have, detergent has an adverse effect across the board. New Wash, on the other hand, stops the damage and balances every type of hair with essential oils that act with the same mechanism as detergent (the ability to remove undesired substances), but they do so selectively: They distinguish between the good and the bad, only removing what is necessary. Everyone thinks they need conditioner, when in fact they don’t. Conditioners and masques are merely band-aids for the damage caused by shampoo. We thought there must be a better, more modern way. We needed to get rid of the detergent and that's what we did. New Wash is allowing people to discover their hair; its personality comes out, and you’ll be amazed at how great it looks. Biodegradable formula. I was skeptical of New Wash the first time. I figured I would step out of the shower with greasy hair that still smelled like my last workout. I was so wrong. My hair was not only clean and felt soft, it smelled so fresh. I did not even have to use one detangler or hair product to coax my natural curls into obedience. I am a convert. I only need the smallest amount to do the job, thus saving me literal hundreds in hair products from Shampoo to curl cream. I love the natural ingredients, and I love that I can take this everywhere and cut my time in half. Grab a bottle and join the Hair Story revolution. I have always been a huge proponent of buying handmade items. 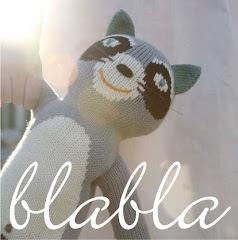 Etsy was like a godsend for someone like me (and many others). 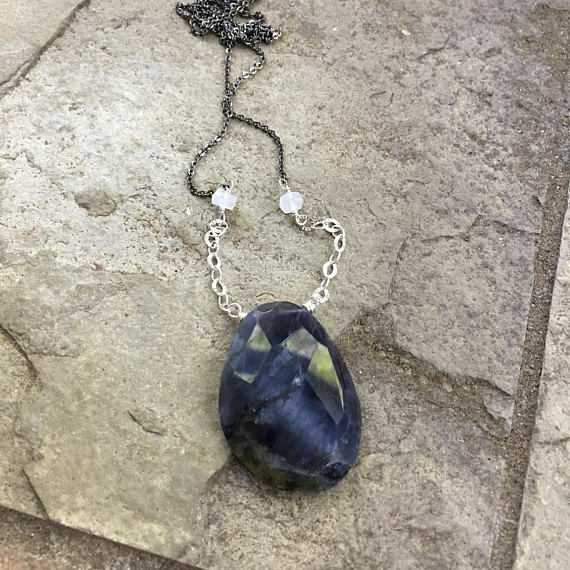 I was on Instagram one day when the most gorgeous necklace caught my eye. 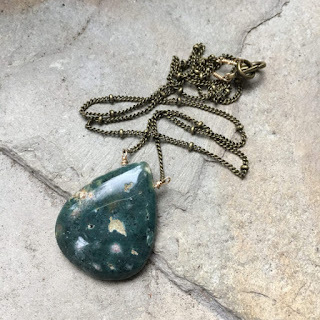 I immediately contacted the creator of said necklace and ordered right away. 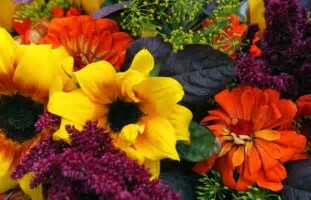 Since that time, I have purchased more, and each creation that comes is more and more beautiful. The holiday season is fast upon us, and I can wholeheartedly recommend surprising that special person in your life with a creation by Kuri Yasuno. I was interested to know what made this gem genius tick. What inspired her? She was gracious enough to let us in on some of her secrets. 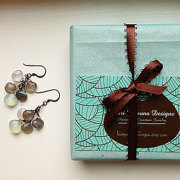 Take a read and then go on over to her Etsy shop and treat yourself and everyone on your list. 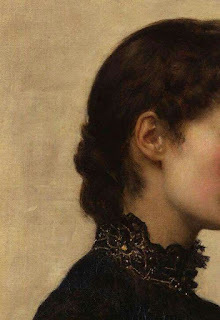 (I included the current pieces I own for you to swoon over). 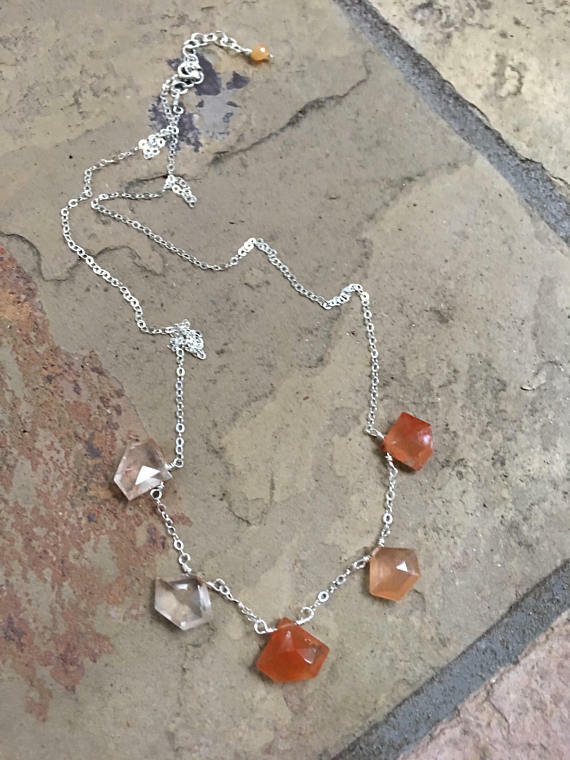 The necklace that started it for me: Tangerine Quartz. Be still my heart. I came to the States when I was 5 years old with my family from Japan. I arrived speaking no English and being dropped in to school with a bunch of American children. That was a fascinating experience. There were so many things that were different. Names, food, sports, clothes, everything. When I arrived here, we realized that a lot of the clothing didn’t fit me because I was pretty small, so my mom made a lot of my clothes for me, specifically party dresses and such. She’s very creative. She picks up new crafts time and time again. She just finished knitting handbags and moved onto hand woven slippers (zori). My grandmother was also creative and was always crafting all sorts of things. It appears I come from a line of very creative women. Other than jewelry design, I have a few loves. I love languages and music. I was a language major in college and have a music and fine arts double minor. My main instrument growing up was the piano but I also can play the cello and sing proficiently. Currently I am a mom of two boys 12 and 10 and one of my favorite things to do is to teach them to sing in 3 part harmony. Its a great party trick. I love to doodle but I can’t say that I am a great artist. I just love looking at pretty things and I find myself always creating. How did you start designing jewelry?When I was in High School, I did a summer college program. (can we say nerd? I was that too.) anyway, I met a girl (now woman) who showed me how to bead. At that time, I was just playing with seed beads. Then I kind of forgot about it. YEARS later, about 5 years ago, I was in a shop in California with a friend of mine. She showed me some beautiful pieces. I said I think I know how to do this. After that trip, I started wire wrapping gemstones and sent her a necklace. After that, I just got hooked. I started making more pieces and then I started making gifts. Soon after, people were purchasing my pieces for gifts and here I am today with my little etsy shop and my dining room table “workshop." I love all the different colors I see in nature. Looking at water, plants, trees and the sky I see all the colors swirl around. Then I lay out my beads and see what I like together that may resemble what I saw. Other times, the gemstones themselves make me think up of different combinations and colors. What are some of your favorite gems?This is a tough question. I feel like labradorite and moonstone are some of my favorite. they go with everything and have that internal flash. On the more higher end, i love tourmaline. the colors of that gem are so beautiful, anything i create with it is just gorgeous. I also have a soft spot for all the blue of apatite, the soft greens of moss aquamarine and pink topaz. I think it was that necklace I made for my friend. it was iolites, I believe. The first piece i sold tho, was a kyanite piece. My favorite piece has to be my “one of everything” necklace that I wear often. Its a random selection of gemstones all wire wrapped into one simple but colorful necklace. Ocean Jasper. I feel like a forest princess when I wear this. Product Mommy's newest piece from Kuri. Sapphire Blue Iolite and Moonstone. I know I have mentioned I suffer from PCOS, so even though I may seem way too old to be getting a blemish, I most certainly still do. I have hormonal breakouts, and in the summer, certain sunscreens can cause them as well. I don't like to use conventional blemish creams on my face because they usually contain alcohol, which is too drying, and other harsh chemicals that leave my skin peeling. 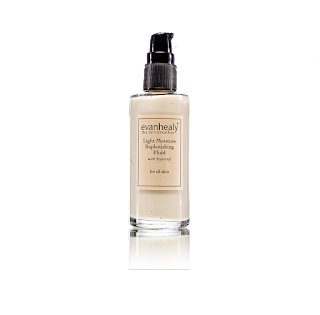 Evan Healy Blemish Purifying Serum is step one in my battle to defeat the spots. It contains no alcohol and is certified organic. 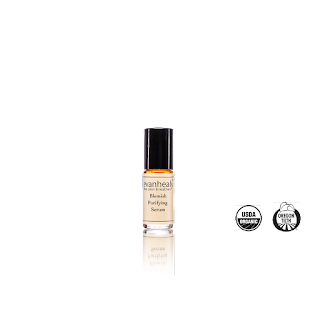 It contains oils such as thyme, lavender, rosehip and rosemary. It is a tiny bottle that packs a big punch. Spots go away within a day when I dab this powerhouse on. It actually smells amazing as well. When my skin really needs some TLC, I turn to the Hibiscus Willow Face Mask. I am obsessed with this mask. 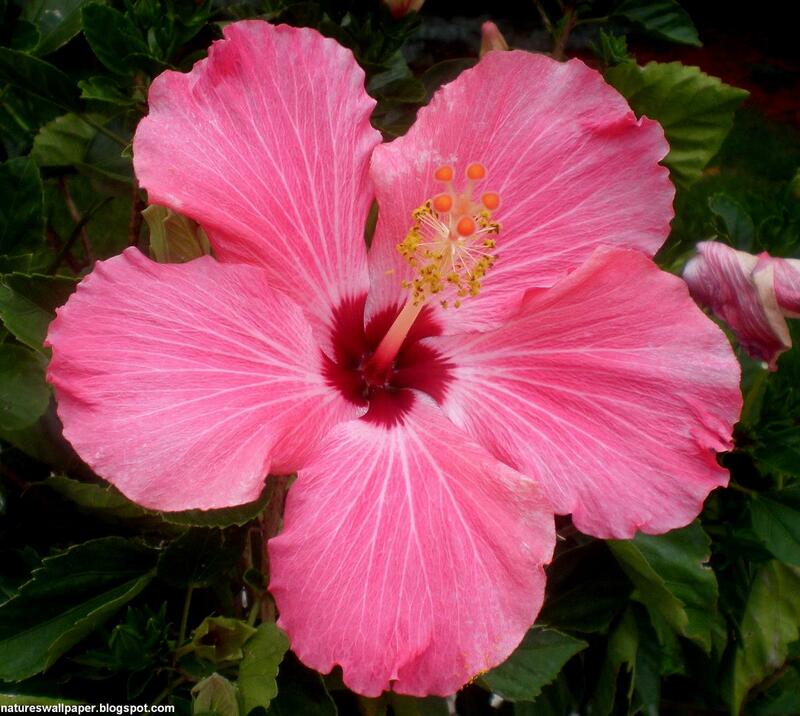 It is the most gorgeous mauve color, and it is magic for the skin. Flower, bark, root and clay. 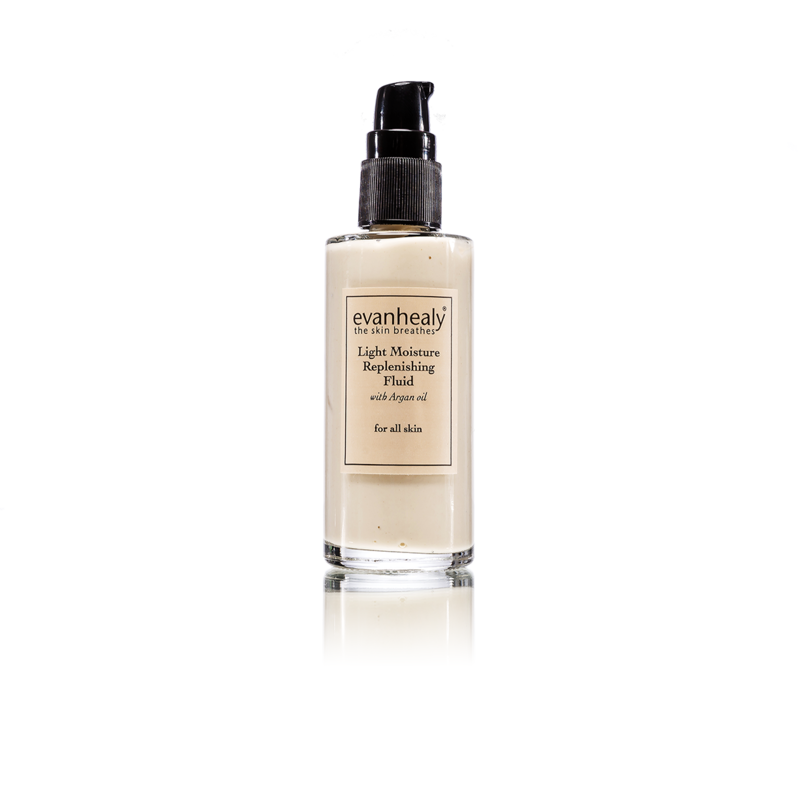 This harmonizing botanical + mineral quintet work to smooth, calm, clarify and nourish all skin. Marshmallow Root + Oat smooth and soothe. 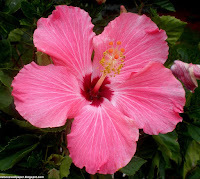 Hibiscus cools and enlivens. Willow purifies, exfoliates and rejuvenates. Kaolin Clay mineralizes, tones and calms. 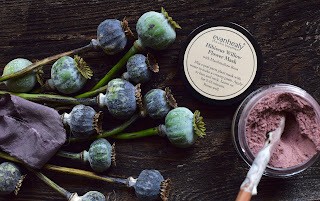 Once activated with liquid, this dusty-rose herbal powder blossoms to a deep fuchsia as it awakens, nurtures, and illuminates while infusing the skin with a profound serenity. This mask can be used on all skin types. I find it really clarifies my skin without irritating it further. Some masks leave skin too dry, this one is just right. I have even used it after all day in the sun to soothe my skin. It feels luxurious, and is so effective. I usually do this mask once to twice a week while taking some "me time" and enjoying a long bath, or even while cleaning up after my pre-teen. Do yourself a favor, grab this for your beauty and self-care arsenal. I hate to admit it, but I am only a few years away from the big 4-0. That was once my "scary age", like the age I thought my parents were old. The thing is, I know 40 is no big deal anymore. I don't feel old, and I like to believe the kids I work with when they (lie) tell me I look young. Some of that may be in part to good genes. My Nana is 92 and you would never know. The other part is good skincare. I don't do chemicals, and I don't personally believe that they are the only anti-aging answer for my skin. Evan Healy is always a go-to for my skin care. When I started noticing a few "life lines" on my face, I started upping my skincare game. 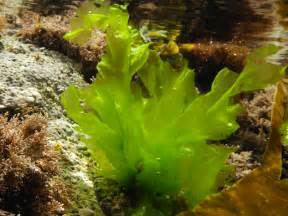 The Sea Algae Serum is a must for my daily skincare. I use it at night, and I am so pleased with the effect. Formulated with fresh raspberry leaf extract, known for its skin firming effect, to better target signs of intrinsic aging and Hyaluronic acid, which holds moisture to skin forming a protective barrier. Seaweed, algae, and sea buckthorn berry oil combine to firm, nourish, and tonify the skin, and Gotu Kola supports the body’s synthesis of collagen, and connective tissue maintenance. Described by one customer as: "deep yoga for skin", our Sea Algae Serum visibly transforms wrinkles and fine lines into silky, smooth, radiant skin. 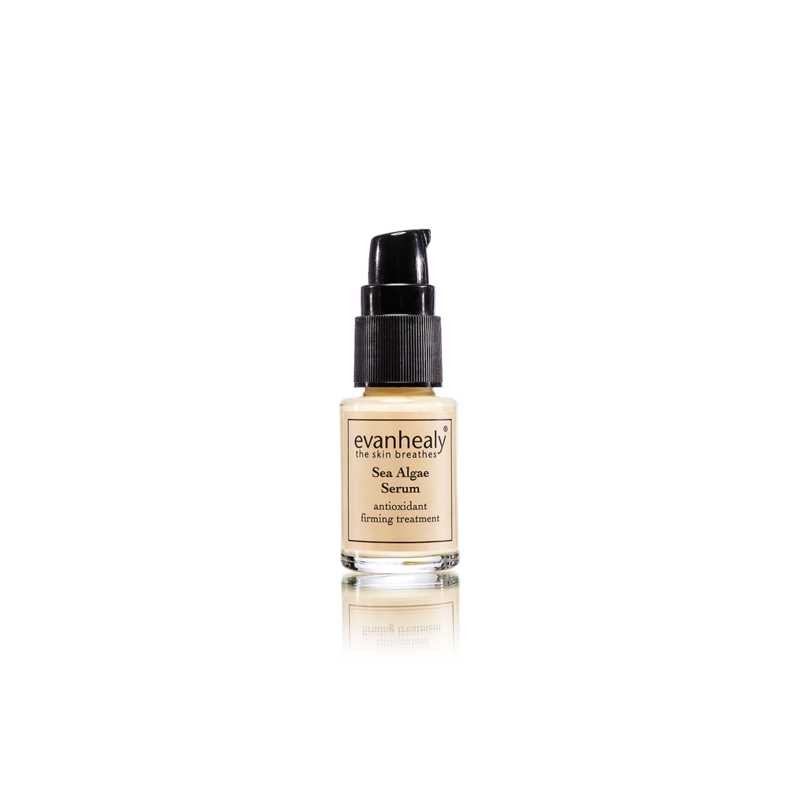 Used consistently it helps protect and soften the skin. Sea Algae Serum revitalizes skin damaged by sun, pollutants, and aging. I use this under my daily moisturizer (more on that in a minute), and I love how it makes my skin look and feel. I have noticed plumper skin and less of those lines. My skin feels incredibly moisturized. For my daily moisturizing needs, I use the Light Moisture Replenishing Fluid. I have yet to find a moisturizer that feels as good as this does for my skin. It is light enough for my combo skin, but feels deeply moisturizing (even after being in the pool and ocean all summer). It never co ngests the skin and my skin drinks it up. It also smells so amazing! It features organic and sustainable Argan oil from Morocco’s Berber Women’s Co-Operatives, along with Tamanu and Pomegranate Seed Oil, and is energized with Flower Essences. With this two in my arsenal, I am one happy camper. I can kiss fine lines goodbye and embrace my skin. 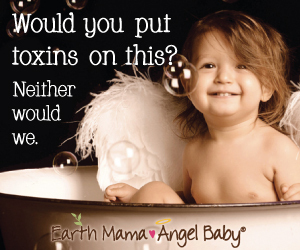 Product Mommy is not paid for any of the opinions or reviews expressed on this blog. The reviews are purely honest opinions of products and do not reflect the opinions of the companies reviewed. 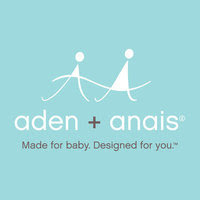 Follow Product Mommy on Facebook!